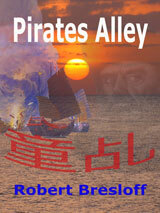 An adventure story of Chinese pirates, magicians, ghosts and treasure ships. Chen grew up in Annam, but it was soldiers of the Chinese Emperor of the Dragon Throne who laid waste to his village and tortured and killed everyone. 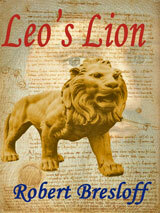 Chen, just twelve years old, escaped with the help of a mysterious old man. After many days march with the old man, he finds himself on a Chinese Treasure Ship, and it is then that the real adventure begins. Then, hundreds of years later, another boy finds an ancient knife on a beach after days of searching because, somehow, he knew it was there. As if that was not enough, he and his friends are then plunged into a modern-day adventure of pirates, thieves, ghosts, and buried treasure. 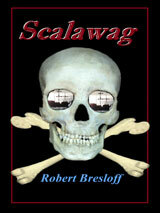 "Scalawag" is a swashbuckling coming-of-age adventure set in a world of pirates and ghosts of the 17th century. Henry Downs was only thirteen when he was kidnapped and sold into slavery to the notorious pirate, Captain Black. Henry becomes cabin boy on the pirate ship The Swan, with little hope of ever seeing his home again. Even so, he sets about learning everything he can about the ship and about sailing on the high seas, in the hope his knowledge will one day enable him to make his escape. Unbeknown to the other members of the crew of The Swan, the ship is haunted by its former pirate Captain, Mad Dog Jamison. Soon, Henry becomes aware of the ghost, but Mad Dog is not the only ghost on that ship and Henry could not have imagined in his wildest dreams (or nightmares) what would happen after sailors from Spanish galleons capture all but one of The Swan's pirate crew. Recommended for readers from eight years to adult.